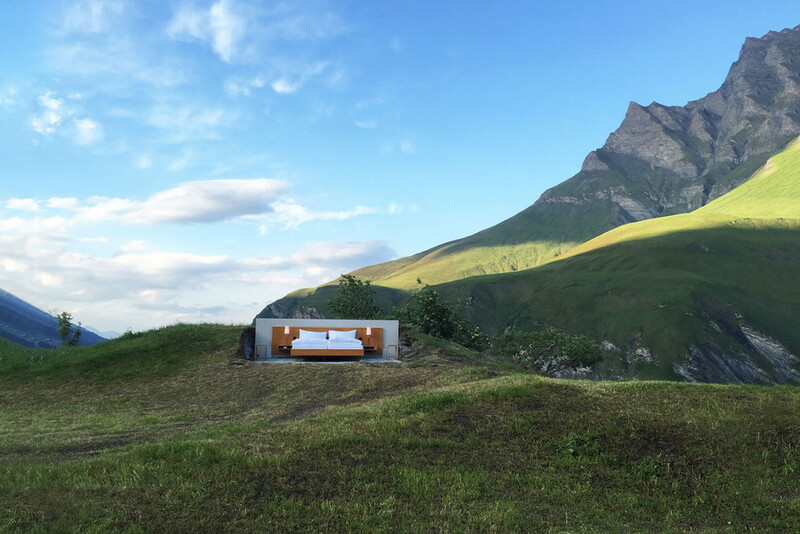 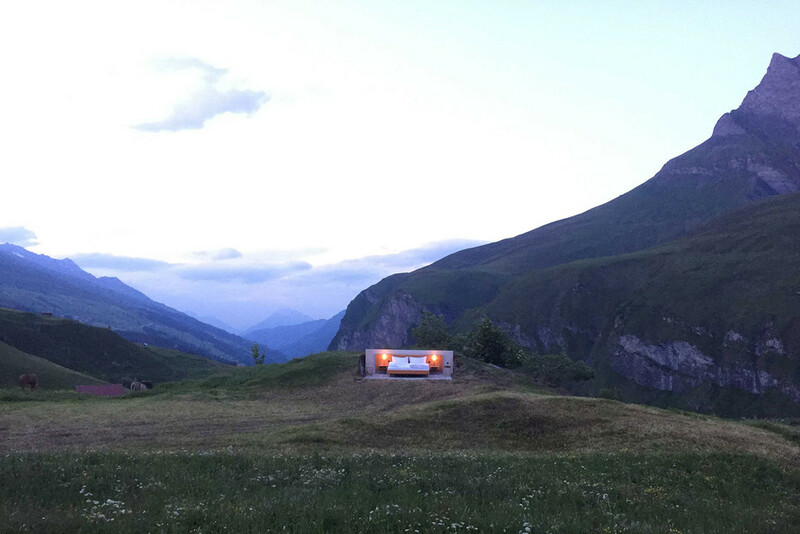 In July 2016, ‘Null Stern – the only star is you’ was re-opened by the conceptual artists, Frank and Patrik Riklin and hospitality professional Daniel Charbonnier, in the Swiss countryside. 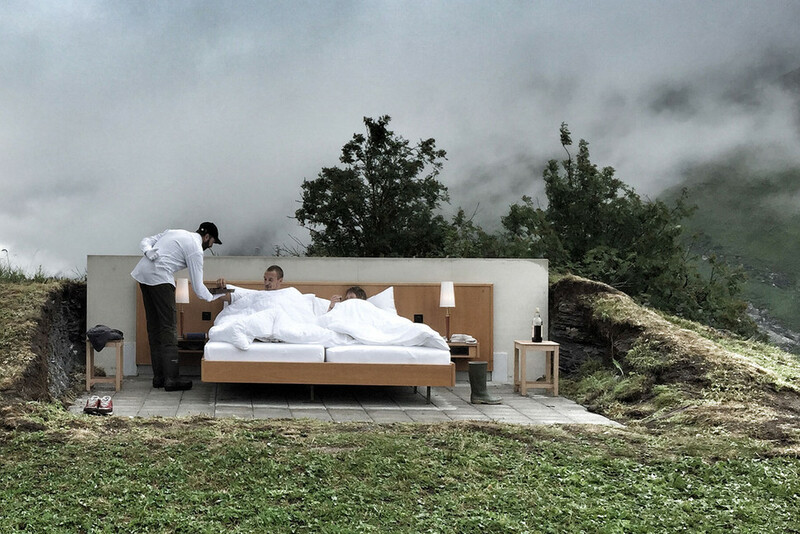 The suite has no roof, walls or bathroom and is made up of only a double bed, side tables and a few lamps. 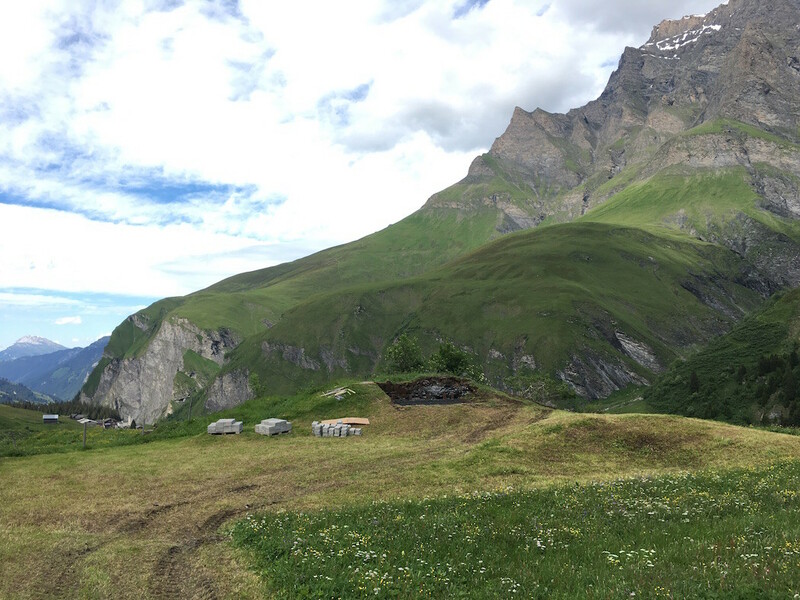 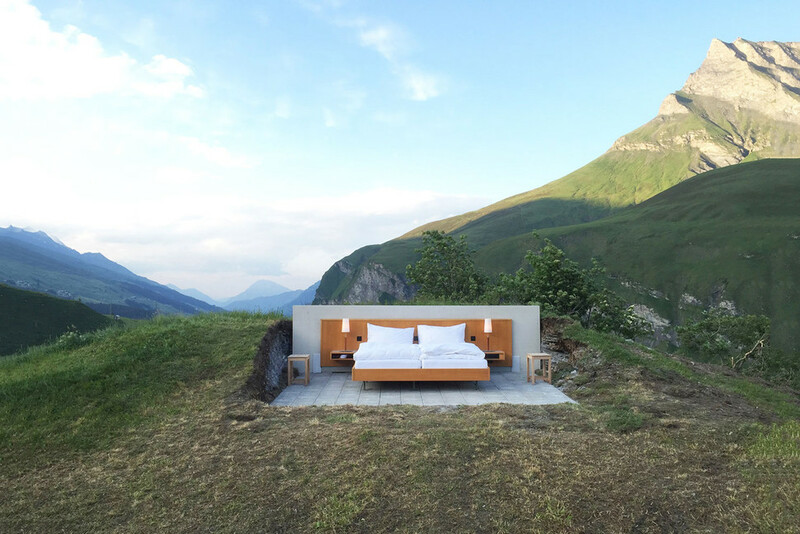 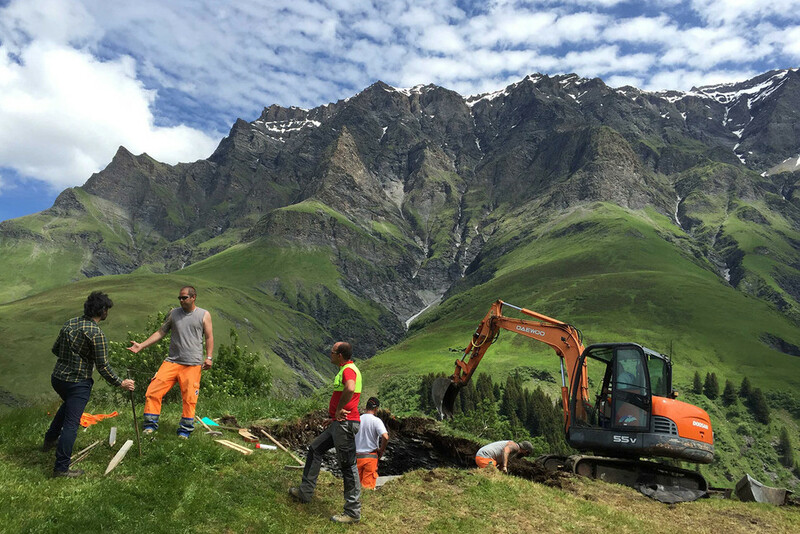 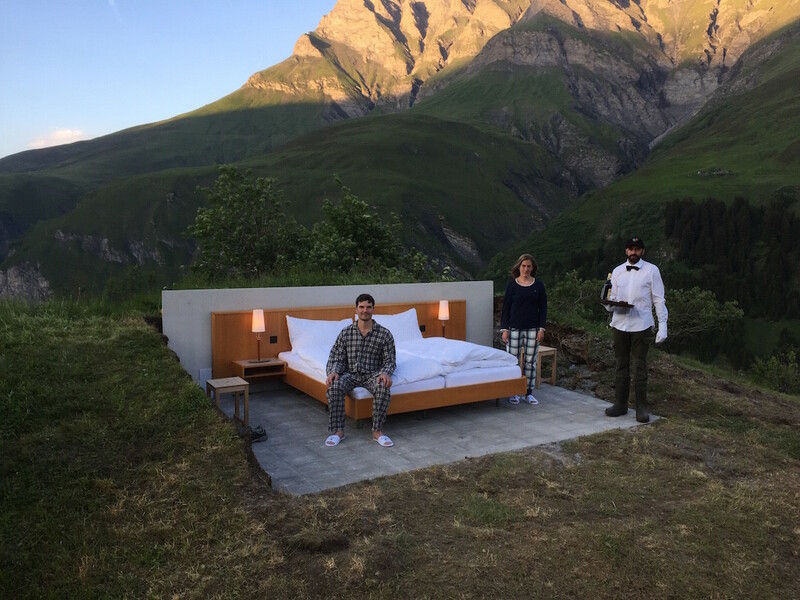 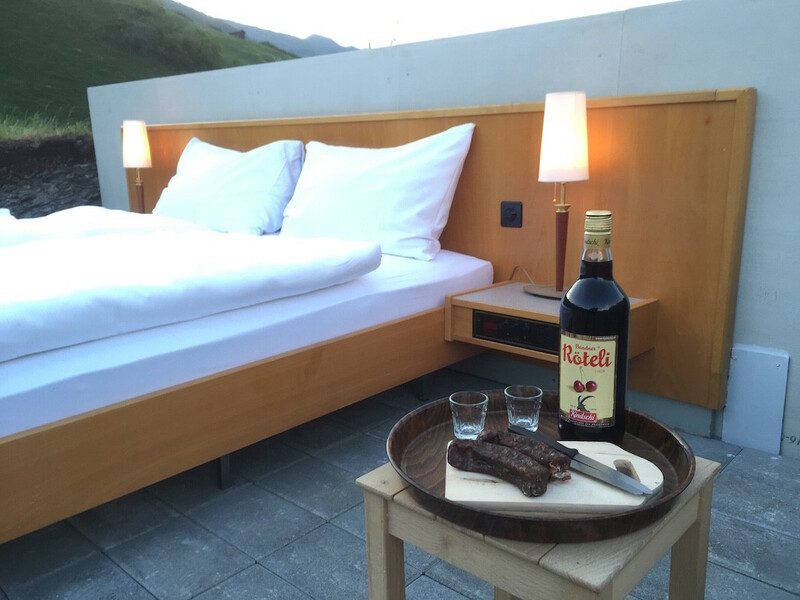 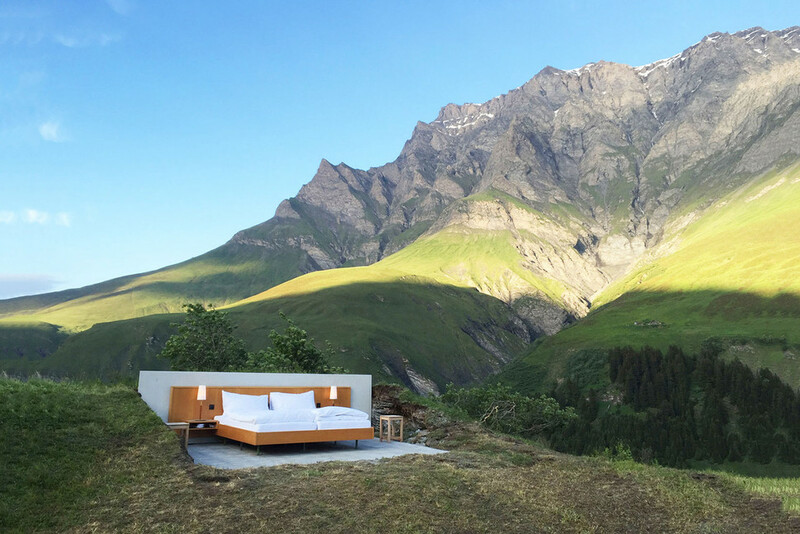 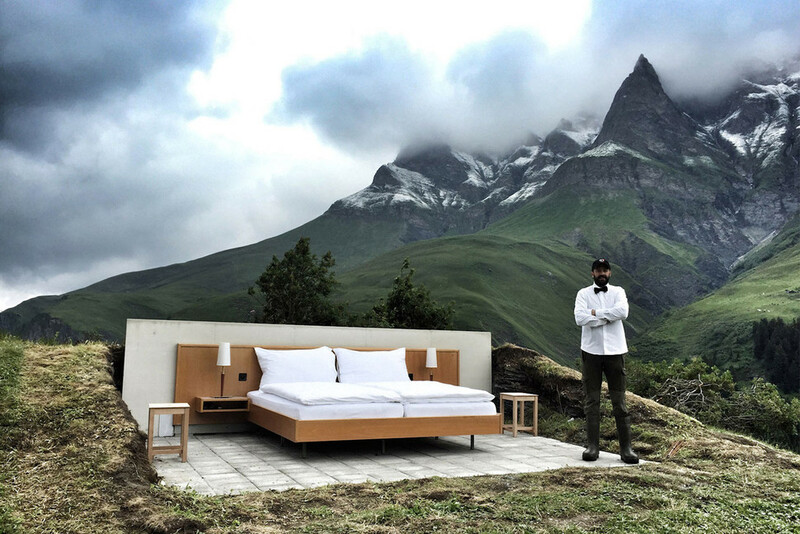 The Riklin brothers explain, “The landscape of Switzerland is the imaginary building of the new Null Stern Hotel version.” The double bed is bookable throughout spring an autumn and costs 250 CHF per night.